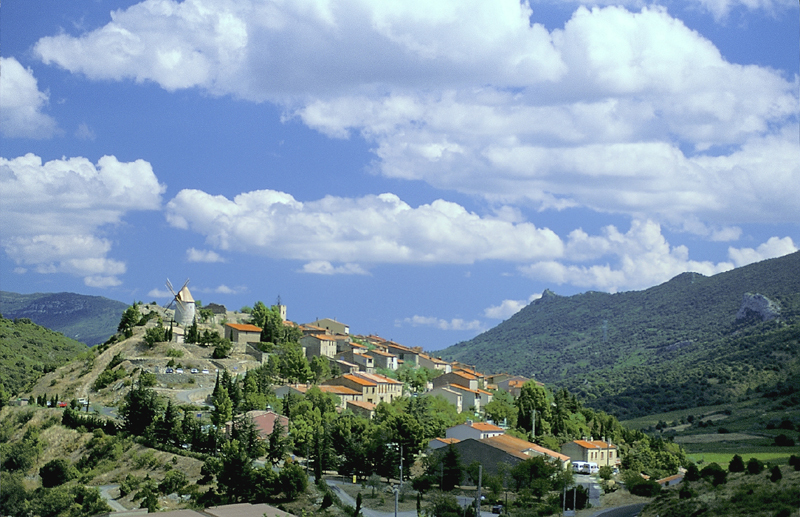 4 French municipalities have been picked to test out CNES’s communications-enabled village concept. Using satellite technologies, among other things, this experiment will bring broadband communication services to these pilot villages “off the beaten track”, fulfilling CNES’s mission to make the applications of space technology available to all. The communications-enabled village imagined by CNES is about to come true. Designed to help bridge the digital divide, this concept will be deployed in 4 French municipalities. CNES President Yannick d'Escatha and Frédéric de Saint Sernin, Junior Minister for Land Planning, announced 16 May the names of the 4 villages selected to test the concept. Aulus les Bains, Cucugnan, Saint Pierre de Côle and Saint Léon—all in Southwest France—were chosen on the strength of their motivation and on the basis of evaluations by Datar, the government agency responsible for regional development. Each village will be equipped with a single satellite antenna providing a broadband Internet connection. Tradesmen, schools, professionals and private citizens in the village will then be able to connect to the Internet easily via a Wi-Fi antenna receiving the radio signal broadcast over the village. Designed to service remote areas, the communications-enabled village combines satellite telecommunications with terrestrial technologies like Wi-Fi (Wireless Fidelity) and Power Line Carrier (PLC). The concept developed by CNES offers communication services accessible to all, everywhere, at an affordable price. Yannick d’Escatha said: “Through the communications-enabled village, CNES is striving to close the digital divide by bringing effective and economically viable solutions” to land planning issues. CNES is seeking with this initiative to bring the utility of space applications to the public’s attention. The communications-enabled village is thus an integral part of the agency’s mission to find ways for space to serve society. Looking further into the future, the aim underlying this pilot phase is of course to promote similar solutions in France, Europe and worldwide.